Hello and welcome to my card-making and crafting blog. I am posting my DT project mid-month (thanks to Eithne and the other DT members at Craft for the Craic), lots to do work-wise and not enough time. Seems like an age since I actually made something, so I was so happy to get inky and start crafting again. 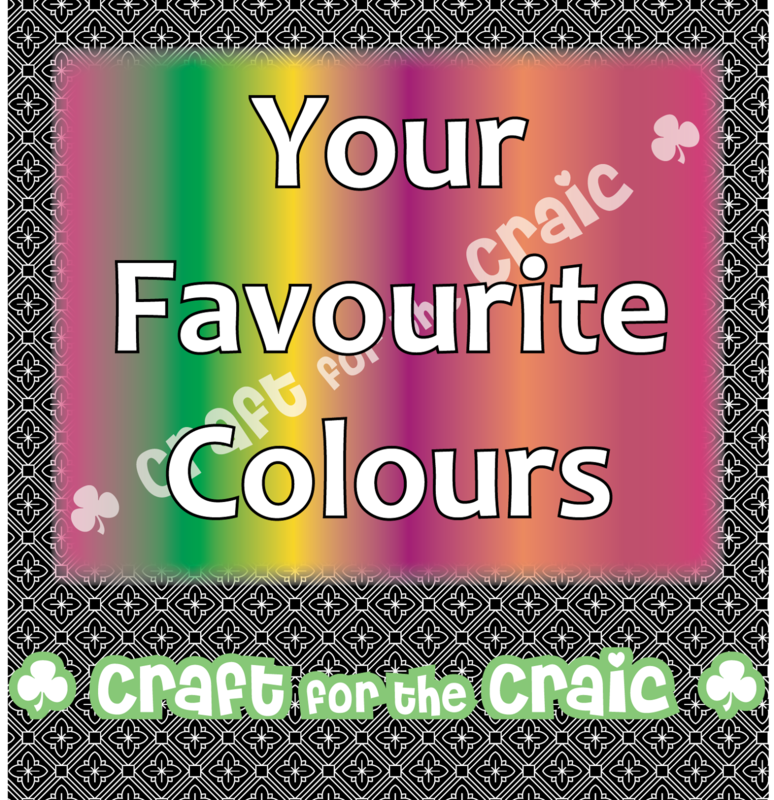 The Craft for the Craic theme this month is ' My Favourite Colours' and I found it difficult to chose. I would normally shout 'BLUE' and be happy , but since we have relocated to the lovely Lough Ree in the heart of the Irish midlands, I am facinated with the colours produced by the sun-sets on the lake and the wonderful combinations that nature creates. My favourite colours seem to change every evening. My card is my attempt to recreate one of these sun-sets. This is a 13 x 9 cm note-card with a fold along the side. I used a selection of the Tim Holtz 'Ranger Distress' inks to create the blended background making sure to mask off a circle to make the moon. I tried to mirror the colours, working from the ends of the card and graduating the colours toward to middle. My foreground was created using a torn paper with a jagged outline and some Vintage Photo distress ink. 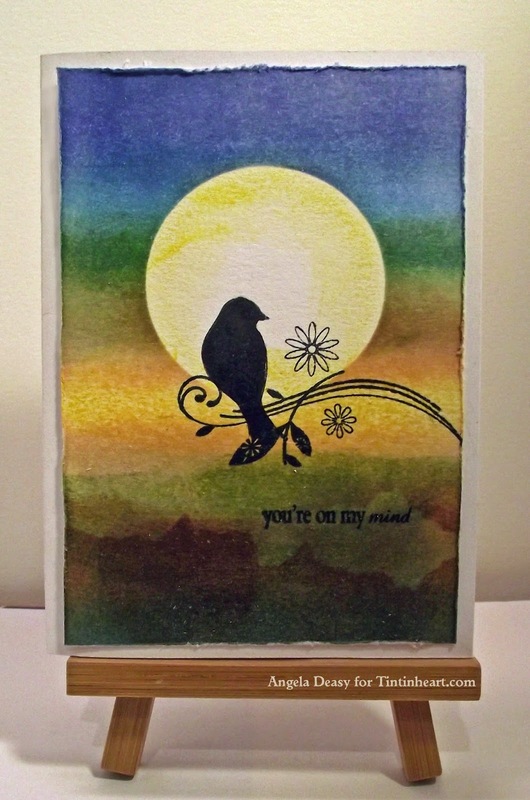 My lonely bird stamp is from a Papermania clear stamp set and the sentiment is from Verve stamps ' Heartfelt Thoughts'. Not bad for restarting my crafting! So now it's over to you. Please pop into the Craft for the Craic challenge blog and see the wonderful DT projects to inspire you and get your entry in. It is important to check out the challenge blog rules and make sure your entry complys. So Good luck with the challenge and I look forward to seeing your entries. Thanks for taking the time to stop by and read my blog. Please leave a comment , I love hearing from you.